In case you've been hiding under a rock all weekend Meghan Markle & Prince Harry GOT MARRIED! It was the #royalwedding we've all been waiting for and Meghan looked absolutely beautiful. 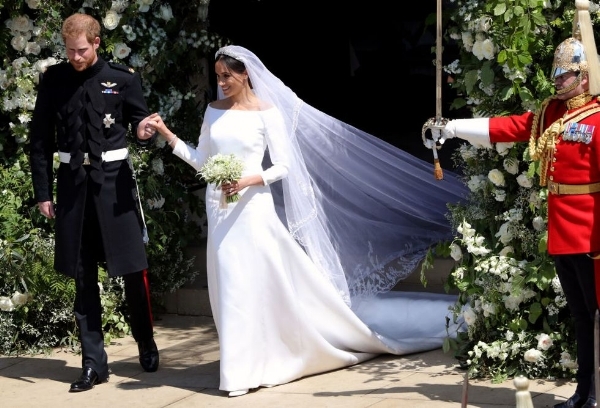 Her 3/4 length sleeve crepe gown was a classic choice for the ceremony and was so different from Kate Middleton's wedding dress, which felt super fresh. Her second dress was just as sophisticated and also a crepe, but in a slim halter silhouette. 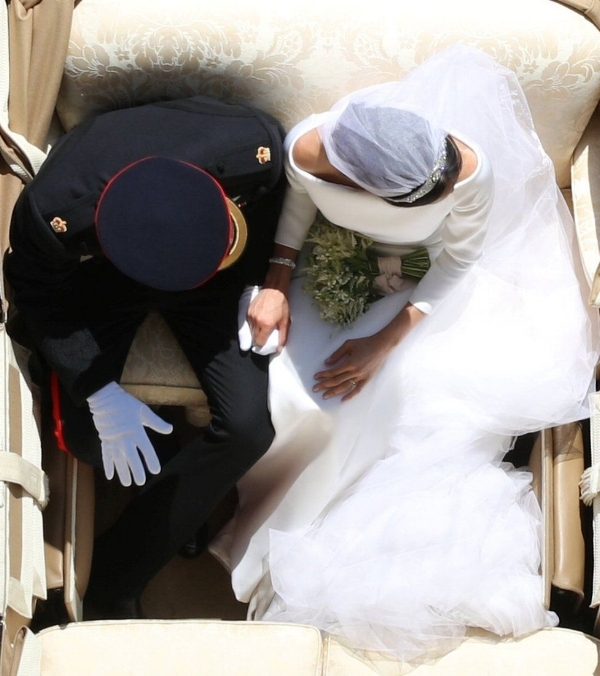 Love Meghan's wedding style? We've got the look(s)! Meet JADE -- From our new Spring 2019 collection, Jade is a similar slim crepe gown with a deep V neckline and low back. PS all gowns are customizable if you want a little more coverage! Meet ARIA -- Aria is a slim crepe style like Meghan's bespoke Stella McCartney halter dress. Designed to show off the shoulders, Aria features a beautiful lace back and the crepe fabric is super comfy and smooths over curves for a slimming effect. Want more bridal fashion inspiration? Of course you do!